Managing your iPhone’s photos is more important than a lot of people realize. We use our iPhones to take photos so that we have memories that we can revisit whenever we want to, so when there is no organisational system in place it can be difficult to do this. The best option is to use an iPhone USB picture tool and store them on your computer – not only does this make file management significantly easier, but it also frees up storage space on your iPhone. So that you can make an accurate decision on which iPhone USB photo transfer tool that you want to use, we are going to show you the top 4 and what they have to offer. The first program that we recommend you look into using for iPhone USB picture transfer is iMyFone TunesMate This program has been designed specifically for managing your iPhone’s data and is ideal for using as an iTunes alternative. Transfer photos from iPhone to computer or external hard drive via USB connection. 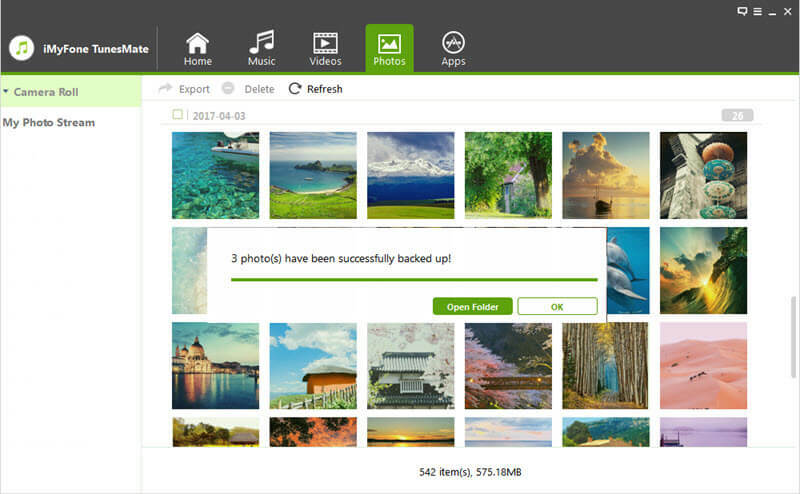 Selectively transfer some photos in bulk, or transfer the whole album instead. Transfer all the photos from iPhone all at once, in just a few clicks. Two-way transfer to transfer music, videos, ringtones, audiobooks, playlists, etc. freely between iPhone and computer. Sync iTunes library to iPhone without any data loss. Next, we have AnyTrans, a program that is capable of managing all of your iPhone data (including videos and photos) without affecting the original quality of the data. When you use AnyTrans as an iPhone USB photo transfer tool to transfer your photos, their original quality will be retained. 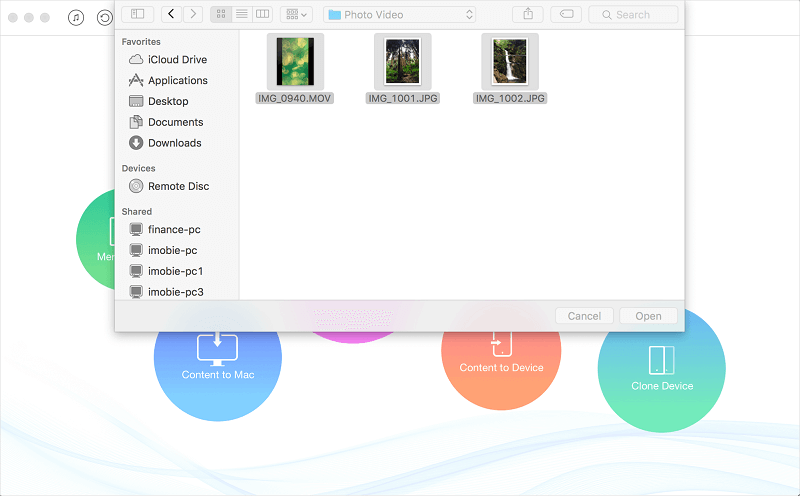 You can also use AnyTrans to extract specific data files from any iCloud or iTunes backups. Why risk data loss by using iTunes to manage your iPhone data when you can use a great iTunes alternative like AnyTrans? FoneTrans is much more than a simple iTunes alternative and has a lot to offer. With this iOS data management tool, you are able to freely transfer data between any of your iOS devices and your computer without experiencing any of the limitations that iTunes places on you. Your text messages, photos, videos, music, voice memos, contact information, and many other data types can be managed using FoneTrans. To top it off, you can easily extract data from your iPhone so that you don’t have to go through the tedious process of extracting data from a backup – it’s simple! Last, but not least, we have CopyTrans. This is another fantastic program for iPhone USB photo transfer which is compatible with all recent iOS versions. You can use CopyTrans to flexibly manage your iPhone’s data, take and restore backups, and even restore your iTunes library. After installing CopyTrans on your computer, you’ll have complete access to all of the features that it includes, and you will be able to completely control your iPhone’s data at the tip of your fingers. There’s no doubting that if you want a reliable program to manage your iPhone’s photos, iMyFone TunesMate is the way to go. Now, using the method that we’re going to show you below, you can transfer all of your pictures from iPhone to USB drive in just a few short minutes. Step 1. Download, install, and launch iMyFone TunesMate on your computer. Connect your iPhone to your computer using a USB cable. 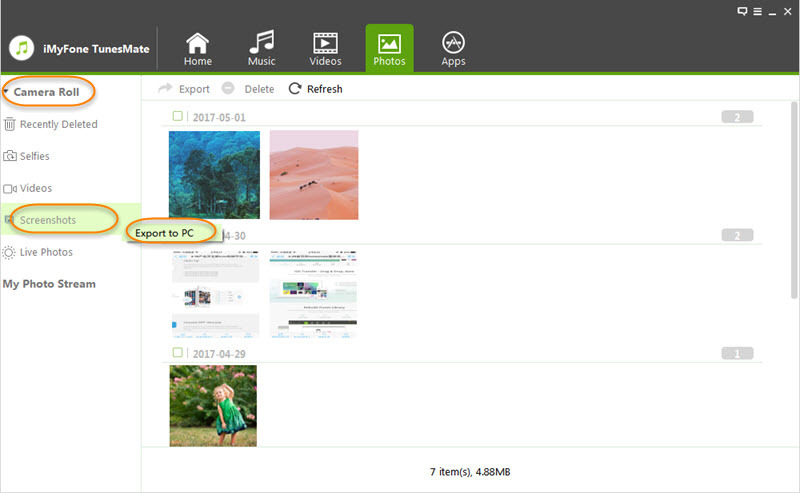 If you want to transfer photos to external hard drive, connect it to computer as well. Step 2. Choose “Photos” from the top tabs. It will start loading your photos and shows all your iPhone photos there. Step 3. 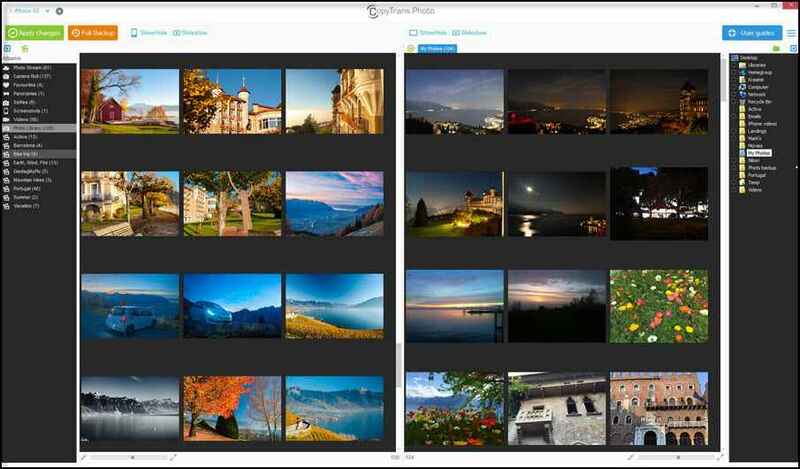 Select the photos you want to transfer and then click “Export > Export to PC”. 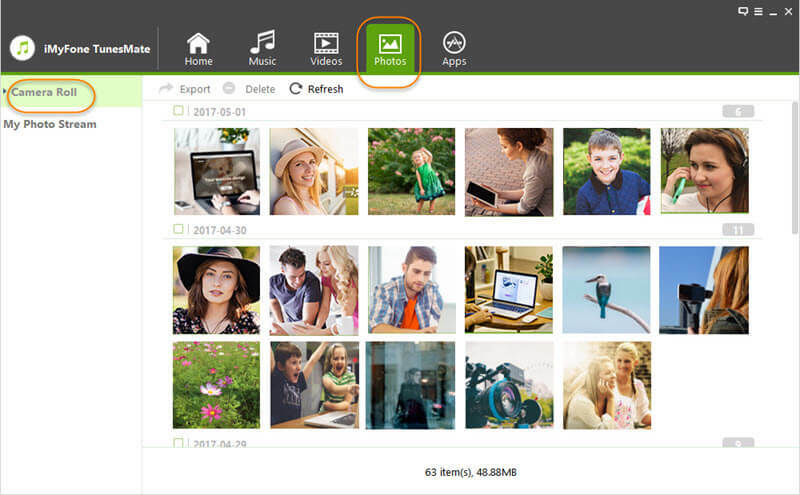 Select a local folder to store the transferred photos, then click “Select Folder”. When it’s done, click on “Open Folder” to view your photos and organise them however you want to. On the other hand, if you don’t want to transfer photos but instead you only want to transfer specific albums, you can do that with iMyFone TunesMate too. Step 1. Start by downloading, installing, and launching iMyFone TunesMate. Using a lightning cable, connect your iPhone to the computer. Step 2. Once iMyFone TunesMate has loaded, click on the “Photos” tab from the navigation menu. Step 3. From the list of albums that are shown on the left side of the program, right-click on the album that you want to transfer and click on “Export to PC”. Step 4. 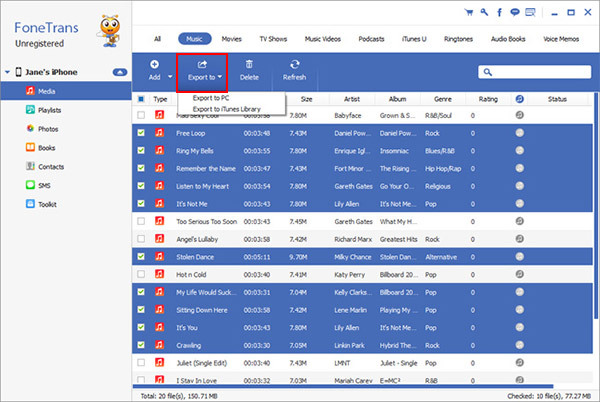 Locate a folder to have your album transferred to and click on “Select Folder”. Lastly, after the album has been transferred, simply click on “Open Folder” to view all of the photos which were in that album. All in all, TunesMate is a fantastic program and by using either of the methods that we’ve detailed above, you can quickly transfer your photos between your iPhone and computer.